The NWA is partnering with ROH for the return of the Crockett Cup. 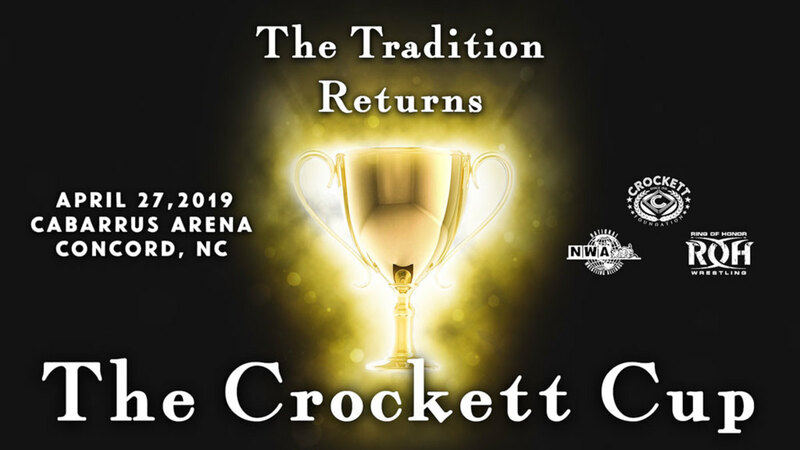 It was announced on Wednesday that the 2019 Crockett Cup will take place at Cabarrus Arena in Concord, North Carolina on Saturday, April 27. The NWA also revealed that they're partnering with ROH for the tag team tournament. The return of the Crockett Cup was announced at the NWA 70th Anniversary Show this past October. The first qualifying match for the tournament will be held at the NWA's pop-up event in Clarksville, Tennessee this Saturday. The NWA noted that further information on the Crockett Cup, the promotions affiliated with it, the teams that will be participating in it, and when tickets will go on sale will be announced in the next few weeks. The tournament is also in association with the Crockett Foundation. In 1986, the Road Warriors won the inaugural Jim Crockett Sr. Memorial Cup Tag Team Tournament. Dusty Rhodes & Nikita Koloff won the Crockett Cup in 1987, and Sting & Lex Luger won it in 1988.